What happens when the Dalai Lama meets with leading physicists and a historian? This book is the carefully edited record of the fascinating discussions at a Mind and Life conference in which five leading physicists and a historian (David Finkelstein, George Greenstein, Piet Hut, Arthur Zajonc, Anton Zeilinger, and Tu Weiming) discussed with the Dalai Lama current thought in theoretical quantum physics, in the context of Buddhist philosophy. A contribution to the science-religion interface, and a useful explanation of our basic understanding of quantum reality, couched at a level that intelligent readers without a deep involvement in science can grasp. 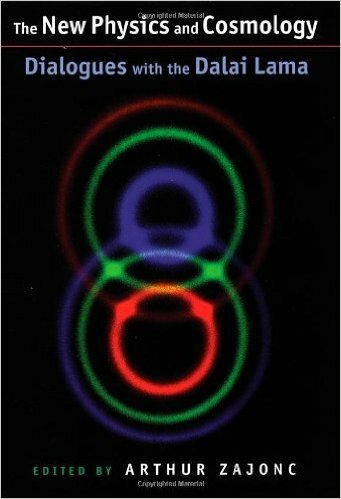 In the tradition of other popular books on resonances between modern quantum physics and Zen or Buddhist mystical traditions–notably The Dancing Wu Li Masters and The Tao of Physics, this book gives a clear and useful update of the genuine correspondences between these two rather disparate approaches to understanding the nature of reality.